The centre is in Azuma, Tsukuba-Shi. The centre is located in front of Tsukuba station. You can easily access to the centre by bus at Central Dorinishi or by train at Tsukuba Sta. station. An office space that offers a number of office solutions for your business, this centre offers co-working, private office and virtual office solutions on flexible and affordable terms. Support your business with the infrastructure this centre offers, and on-site staff that are on hand to assist with administrative and reception support. 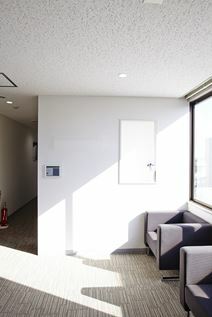 Just an hour from Tokyo, this business centre is located on the 7th floor of an office building on Ibaraki's main road, Route 0, it is incredibly commuter-friendly and is within close proximity to bus stations and JR Mito Station. For peace of mind the building meets the latest earthquake regulations. The centre boasts excellent local amenities and clients will find a range of restaurants, hotels, cafes and shops nearby.